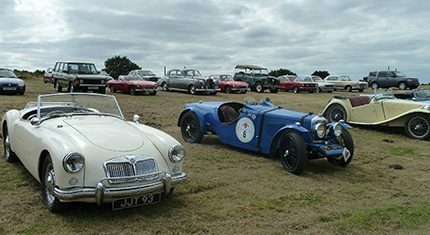 The Layer Marney Cup, an historic fuel consumption trial, was recreated last month with around 50 cars completing a 72-mile route through the Essex countryside. The original event took place in 1914 just two months after the start of World War I, and was a more serious challenge of consumption. Based loosely upon the original criteria, entrants for this year’s event spanned almost every decade of motoring and included a 1913 Unic, 1931 Rolls Royce 20/25 and 1965 5-litre Ford Mustang. Many of today’s participants enter for fun and nostalgia, setting off from Epping Forest there was a lunch at the Secret Nuclear Bunker, Kelveden Hatch before the refuelling and consumption test at McCreadies, the Gulf filling station in Layer Marney near Colchester. Afternoon tea with an awards presentation at Layer Marney Tower followed. This year’s winner was a 2013 Mini Cooper with a gallons to tonne ratio of 73.97. In comparison the 1920 Bugatti Brescia achieved a ratio of just 10.58.